I am a regular compression wearer but was interested to see if these lived up to the hype. I first wore the sleeves on a 15km training run. During the run I had no pain, no cramping and no tightness in my calves, which I almost always have. My legs still felt fresh at the end of the run and I continued to wear them for a few hours afterwards. The next day, my legs still felt good and like I hadn’t run the previous day. Did the calf sleeves make a difference? They certainly did! What I love about them is that they come in different sizes and lengths (which is very important to us shorter people) and have such a wide variety of colours. For runners like me, who like having matching accessories this is very important! 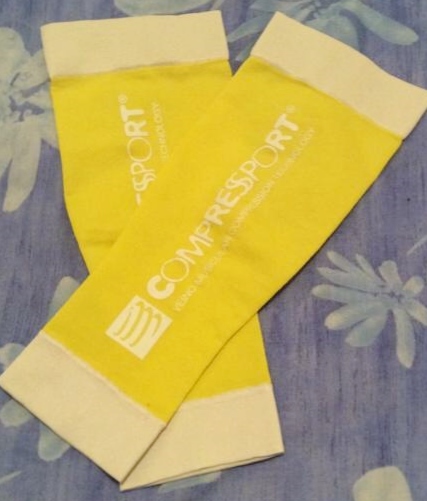 Would I recommend Compressport R2 (Race & Recovery) Calf Sleeves to my friends? Most definitely. I’m getting all of my friends onto them. I even wore them for the Great Ocean Road Half Marathon – they were great! 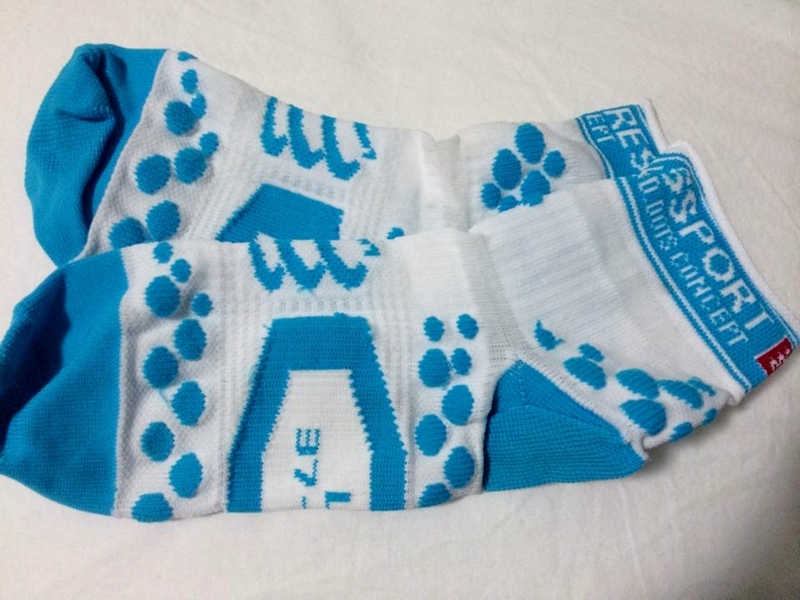 As the name says the first thing you need to know is that they are compression socks. If you have not worn them before, they are meant to be tight and firm around your legs. I wore the socks on one of my shorter runs. They felt firm when I put them on but I soon got used to that. During my run my feet did not slide around. There was no rubbing or friction which also meant no blisters, bumps or sores. They were very comfortable to wear. The socks have some great features. They are hemless and have protection in certain spots like your Achilles and heels. They have a shock absorber which seems to work really well! I also loved that they were high enough to cover my ankles and did not slip in this area. I would recommend them to others, especially people prone to blisters and sores. I have been a Compressport convert for about 2 years now. I initially switched to the low cut run socks when I started getting blisters from other socks I’d been wearing. I loved them straight away. They are so firm and fitted without being restrictive and there is no movement, so my blisters are always kept at bay. When I had the opportunity to test and review the long compression socks I jumped at the chance! As I had been training for my first marathon and felt most comfortable wearing shorts, my physio suggested I wear long compression socks to support my lower legs. I had tried a couple of other brands, but the Compressport are definitely my favourite. As with the low cut run socks, these are very comfortable. They are firm on the foot and do not move around at all. I tested them out on a couple of training runs in preparation for the marathon and then wore them during the race. They provide very good support to the calf and I did not experienced any pain whilst wearing them. 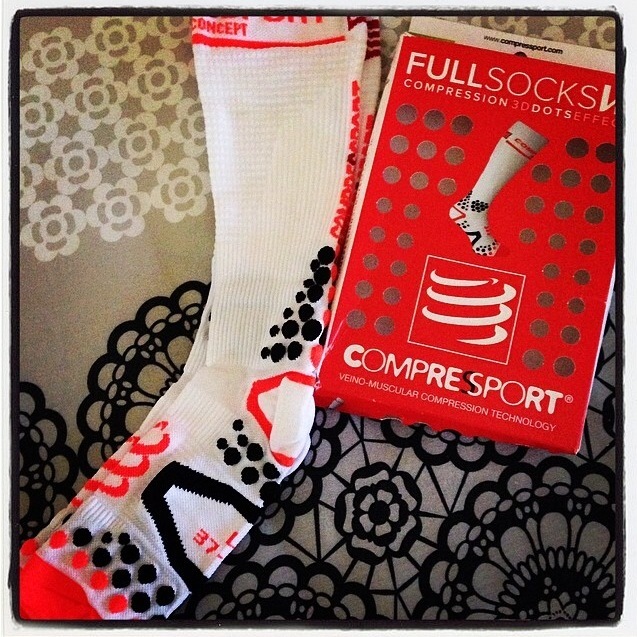 I would (and already do) recommended the Compressport Full Socks V2 to any runner training for a long distance event. They provide comfort, compression and style. Now I am keen to expand my collection as I train for future marathons.